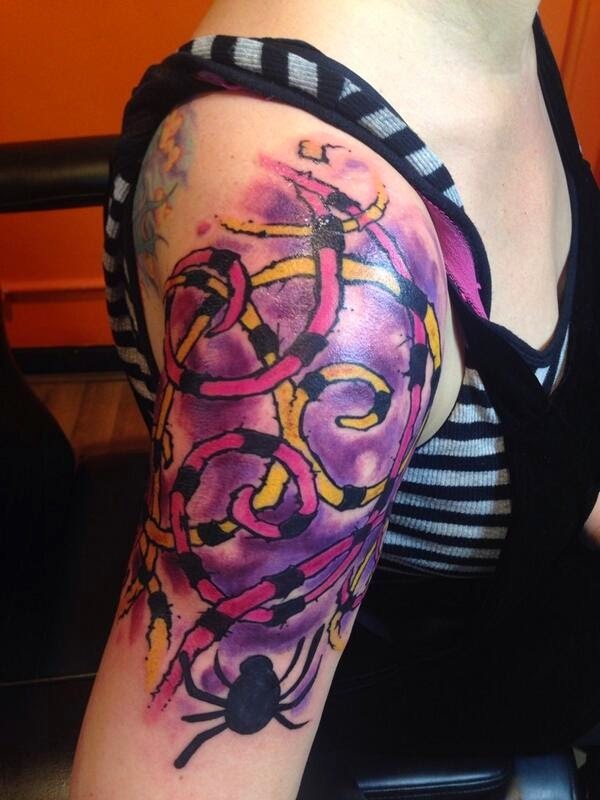 Lorna from Glasgow's Lullaby tattoo. Thanks Moggieboy. 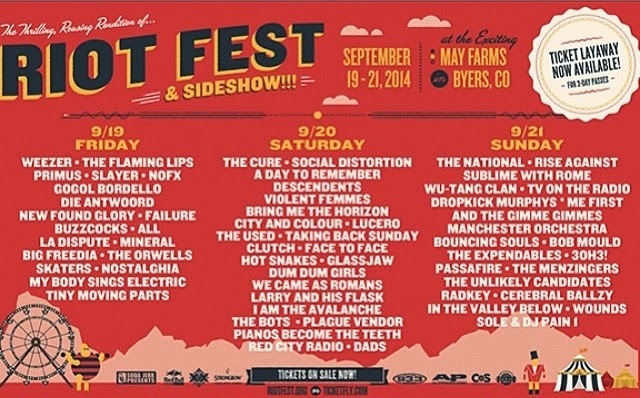 @RiotFest says the daily lineup for Denver's Riot Fest will be revealed tonight, June 18th, at 7pm Mountain time. No mention of them releasing the single day tickets at the same time, but be ready just in case. Update: While we wait for the official announcement, it looks like the band Clutch posted it early (and then removed it). It says The Cure are playing Saturday, Sept. 20th. Yep, it's official. And single day tickets ARE on sale now! $60 for regular (will go up to $65, then $70), $100 for VIP. They've also added a 2 day pass for $120. "Robert Smith loves all of this music"
What made you approach Robert Smith and Wayne Coyne, who aren’t really considered as part of the scene? You know, funnily enough I thought that would have been a little more obvious. I did lots of research – also Trent Reznor and Billy Corgan – they’re all fans of this music, they’re all big fans, and they’re all mainstream musicians who have some of the ideas of this genre at heart in their playing; while they are more mainstream, they are in ways, each individual musician, a kind of kindred spirit. It came out in some of the interviews: Robert Smith loves all of this music and he’s very vocal about it. He seemed the most passionate and romantic about some of the bands. Absolutely. Perfect wording; very romantic, very passionate, very interested in everything they did. And Wayne Coyne – Flaming Lips recently played in Ireland and Kevin Shields (from My Bloody Valentine) joined them onstage; we’re also talking about people that are friends with a lot of these bands. Billy Corgan was very friendly with the Cocteau Twins, Billy was also very friendly with Kevin and particularly Debbie Googe. Lots of connections there. Update (06/17/14): "I went to the show. Reeves was awesome. He played Yesterday's Gone. Got to talk to him after the show and he signed my CDs. He sort of apologized for YG not sounding as good as when Robert sings it. It's different live but very good." Nick: But it’s just- no, it’s never happened. So you know, maybe that’ll be something for the future. Rachel: That’s Nick’s ultimate dream. Nick: Well, you know, he was one of my sort of early reasons where I thought, Yeah, I wanna play bass guitar. Post-Punk: He’s still got it. Cure Tribute band Liqueur have added 2 more dates for this year. September 13th , the '9:13 Dream' show at The Square Harlow and Nov. 22nd at O2 Academy Islington (2). Update (05/07/14): The London show is now a 'Disintegration' Anniversary show. Update (06/01/14): New show added - a Disintegration set on Nov. 21st at Granny's in Lowestofts. Free show but limited space available, so please message Granny's to be put on the guest list. Update (06/17/14): Another show added - Nov. 1st in Milton Keynes at the Craufurd Arms.